"Yes? Yes. Yes. Yes? Nooooo! Yes. Yes!" 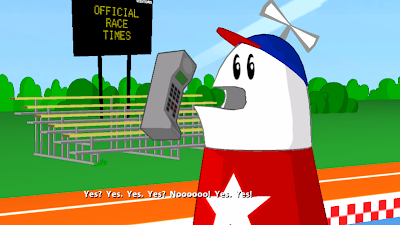 The way Homestar replies to Marzipan on his cellphone is similar to the way Sam responds to the commissioner in Abe Lincoln Must Die!